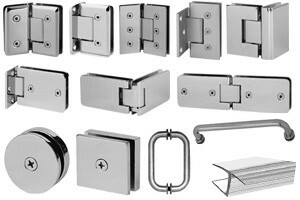 The CRL Geneva Series of professional hinges is able to accommodate 3/8 to 1/2 inch (10 to 12 millimeter) glass. A variety of 11 styles, including Wall Mount and Glass-to-Glass types, gives design flexibility. They are made of solid brass with all moving parts (pins and springs) in stainless steel. 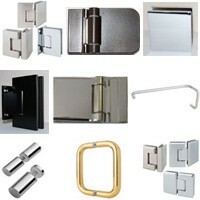 Geneva Hinges are self-centering, and contain a Reversible 5º Pivot Pin. In addition, Custom Pivot Pins are available to accommodate "off angle" installations. Standard Reversible Pivot Pin: Each Geneva Hinge contains a Reversible Pivot Pin. One side of the Pin is marked 90º. The opposite side is marked 85º. Standard Geneva Hinges come with the 90º side activated. 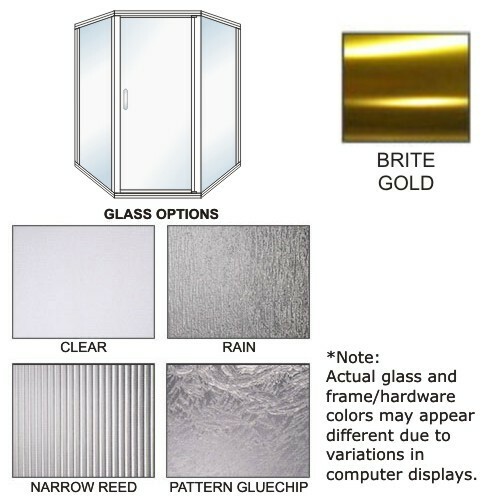 Offset Models come with the Pin pre-set to 85º (5º tighter closure into shower interior). The Pin can be rotated (not flipped upside down) to activate the other side. Custom Pivot Pin: Custom Pivot Pins (Cat. No. GENP1N) are available to accommodate "off-angle" installations. If the 5º Reversible Pivot Pin contained in the hinge does not assist in closing the door to the position desired, you may specify the angle needed for a Custom Pivot Pin (up to 45º). If using the Custom Pivot Pin, contact our Technical Sales Department. Your glass sizes and the aesthetics of the enclosure may be affected by the use of the Custom Pivot Pin. Please check the specifications and any technical drawings to ensure that you are using the correct size and number of hinges or pivots for your application. We are not responsible for any damage due to improperly used hardware. 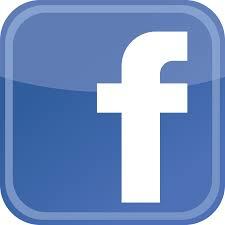 $18.50 + $2.00 per item + $7.00 Packing charge (if applicable, see above) for orders subtotaling less than $45.00.